Sites like Kickstarter and Indiegogo have shown huge community support towards game-related projects. 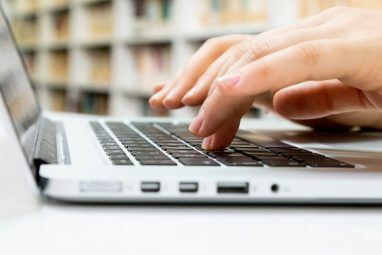 Online gaming seems as big as it’s ever been, and with new MMOs 5 Sites To Find Fun And Free Massively-Multiplayer Online Games (MMOs) 5 Sites To Find Fun And Free Massively-Multiplayer Online Games (MMOs) Though possibly the most popular, the world of MMOs spans far beyond the realms of Everquest and World of Warcraft. 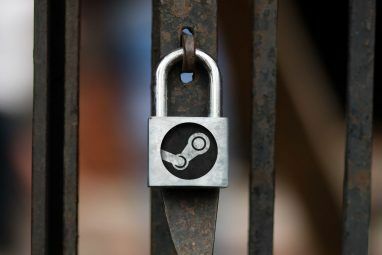 There are hundreds to thousands of well-developed and even free online games for you and... Read More and PC releases around every corner it doesn’t seem like the trend will come to a screeching halt anytime soon. 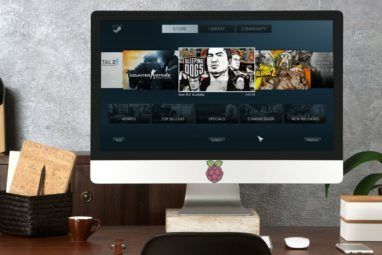 Steam, King over all PC alternatives, has definitely taken notice to this. Greenlight is a community spotlight that allows developers to introduce their games to Steam users so that the community can gauge if their game is worth playing. If community support is overwhelming enough, that game actually has a shot at becoming featured on the Steam platform and advertised to millions of users around the world. It’s a huge opportunity that more than 50 games have been honored with thus far. In this post, let me show you four of the more interesting games I’ve come across on Steam’s Greenlight. Continuum is a PC game that has been around for nearly 20 years. As a former player, I can confidently say that this is one of the most simple and addicting games I’ve ever had a kick for. Continuum is a bit like multiplayer Asteroids, but on steroids. It is a side-scrolling 2D shooter where users are able to pick between multiple different servers and realms (which all feature different playstyles and gameplay elements) and playable ships. Each ship has its own unique role within a team-based setting. On one of the more popular servers, Trench Wars, the Warbird is a one-shot ship that players pick for the most pure “dueling” experience. The Terrier is a ship that other team members can attach themselves to for immediate transportation around the map. Continuum is awesome for both casual and competitive play. The immediate, in-your-face gameplay means you can log on, shoot a few ships up, and log off whenever you have the free time. Otherwise, you can join up with other competitive teams and duel in 2 vs. 2 scenarios or fight to control the base of an opposing team. Continuum has been around for so long and truly deserves the attention that the Steam community could offer it. If you’ve heard of the RPG Maker series, you’d love the concept behind Topia Online. Topia Online is a sandbox MMORPG that allows you, the player, to control everything in the game world. The world lives and breathes around you, and the decisions you make within the game actually shape the game in itself. This game really strives to introduce players to an entirely new gameplay experience where realistic simulation is the key. If you know Minecraft, you should view Topia Online in that same space. The player is the developer, and you’re given tools to build dungeons, cities, trade routes, and more. However, in Topia, you don’t just spawn things out of thin air like Creative mode in Minecraft offers. You actually have to work with the resources of the land, hire people to work, and defend your home from spiders, slimes, goblins, and more. Minecraft and Terraria were a hit. If given a big enough audience, I really believe Topia has a shot at that same experience. How can you possibly not give attention to a game that introduces itself with Abraham Lincoln wielding a chainsaw? The ARPG genre is on fire. I’ve preached on how awesome Path of Exile Path Of Exile Is A Free & Addictive Alternative To Diablo III [MUO Gaming] Path Of Exile Is A Free & Addictive Alternative To Diablo III [MUO Gaming] Despite breaking the single-day record for sales of a PC game, at 3.5 million, I feel as if Diablo III has turned out to be a bit of a flop. The game had a rocky... Read More is, and Second Chance Heroes is one of the most interesting additions to this genre that I’ve ever seen. The game is filled with growing piles of gore, crazy and animated violence, and the ARPG favorite: loot. Second Chance Heroes doesn’t bore you by selecting between warriors, mages, healers, and tanks. In this game, you are a historical figure. You can choose between former US President Abraham Lincoln, Queen Elizabeth, Napoleon, and more. This game is as wacky as it seems addicting, and I’ve watched several trailers that have me wanting to play it more than any other ARPG out there. One of the coolest features is the ability to play with three other friends in a cooperative, free-to-play A Selection Of The Best Free-To-Play Steam Games A Selection Of The Best Free-To-Play Steam Games Content delivery service Steam is a real money-spinner for Valve, prompting publishers like EA to shy away from it in pursuit of their own system. That doesn’t mean there aren’t a couple of free gems... Read More gaming adventure. If you’re sick of typical ARPG gameplay, Second Chance Heroes is for you. If you played the original GunZ, you know what an amazing MMO shooting experience it turned out to be. The second installment of this series promises to be everything the original was and more. GunZ is a fast-paced shooter that’s nothing like what you get out of games like Counter-Strike or Call of Duty. The physics, responsiveness, variety of weapons and action, and intense battles are something you won’t find in many other games. GunZ 2 offers a class-based system (like many MMOs) that pits you in a world against other duelists where you can execute the craziest acrobatics and maneuvers to outplay, jump, hang, climb, and completely dominate over your opponent. It doesn’t matter if you’re into PvE or PvP, GunZ 2 has it and both elements are much improved over the original game. In what other MMO are you required to climb 20 meters over a boss just to attack its weak point and shoot your way to victory? GunZ gameplay has always been intense, and this is one of the most action-packed series the internet has ever been exposed to. I’ll be giving it a try, and you should help it make its way on to Steam! If you have never heard of Steam Greenlight, we’ve got another article that might open your eyes to a few things you don’t know about Steam 8 Things You Didn't Know About Steam 8 Things You Didn't Know About Steam Steam started out as an annoying program that came with Half-Life 2, but it’s grown into the PC game store of choice for most PC gamers. Although some people aren’t fans and prefer alternative stores,... Read More . I’m happy to see Valve has gone out of their way to give the little guys a chance, and plenty of the games on Greenlight look just as exciting as fun as those already featured on Steam. Do you know of any other games on Greenlight that are worth the attention? Want to talk about any of the games features in this post? Leave me a comment below and we’ll talk about it!